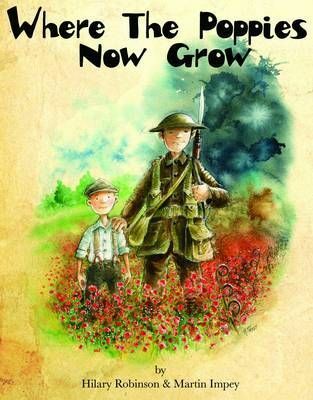 Set during the First World War, in simple rhyme, Where the Poppies Now Grow takes readers on a journey of friendship set against a changing landscape of innocence, of war and then finally, of peace. Childhood friends, Ben and Ray, find their innocent war games become real as the Great War rages around them. Set during the First World War, in simple rhyme, Where the Poppies Now Grow takes readers on a journey of friendship set against a changing landscape of innocence, of war and then finally, of peace. Nominated for Kate Greenaway Medal 2015 Nominated for Carnegie Medal 2015 Shortlisted for Hampshire School Book Award 2014 Finalist Educational Book Award - Education Resources Award 2015" Ideal resource for Remembrance, PSHE and SMSC.